Ferring Football Club are searching for a new manager after Steve Allen resigned from his role earlier this week. 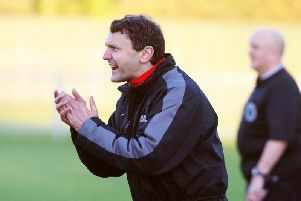 Allen, 51, returned for a third stint as Ferring manager back in September but suffered a difficult campaign in charge. Ferring failed to muster a point all season, conceded 300 goals and scored just 14 times as they finished bottom of Southern Combination League Division 2. Allen had previously outlined his ambition to remain as manager for the upcoming campaign. However, after being offered the job at Brighton, Worthing & District League Premier Division side Goring Cricket and Football Club, Allen felt it was too good an opportunity to turn down. He said: "I've decided to join Goring Cricket and Football Club as manager. They have great ambitions and I know the chairman really well. "I was asked along for an interview, then got offered the position. "Last season was one of the hardest for me in charge at Ferring. Deane Culver (Ferring chairman) had offered me the manager's job once again this season but with no reserve team and a severe squad shake-up needed, I've decided to move to Goring." Ferring will not know what division they will be playing in next season until the SCFL hold their AGM on June 27. After finishing bottom of the Southern Combination League, they could face dropping down into the Brighton, Worthing & District League. Anyone interested in taking up the vacant managerial position at Ferring should contact club secretary Jamie Wells on 07939 183151.